Take the Great American Trip and visit every state in America. Do it all at once or periodically over several years. Plan to visit every state in America during your lifetime. Discover the Real America. Experience the people, places, land, businesses and local towns. See where your food comes from and where products are made. Learn local history. Understand the values of local people. Get to know them as real people. When you travel, your eyes will be opened and your life will richer for it. You will feel connected to many people all across America. You will learn that we have many shared values. Taking the Great American is a cause for good. Invite others to take the Great American Trip also. We will all be better for it. ​The media focuses on a Washington filled with divided, power hungry politicians. Everyday the news shows organized angry rabble-rousers. It highlights people who are violent, disheartened, or criminal. It provokes fear for the future. There is very little good news. If you pay much attention to it, you will have a very distorted view of America. This is not the real America. 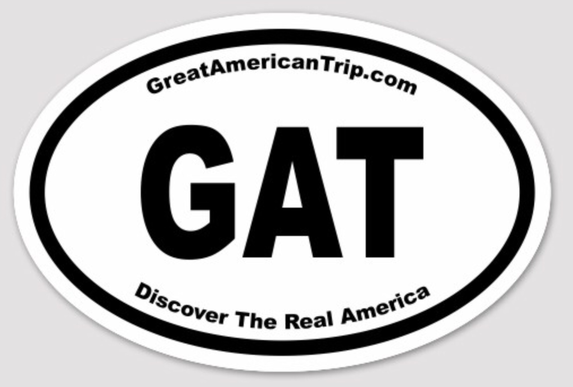 Support The Great American Trip.